This was a great week for new releases, with Bon Iver, Viva Voce, and Matt Bauer, just to name a few. Unfortunately, seeing that I like to have the physical album and not just a download, I haven't had a chance to pick these up yet. 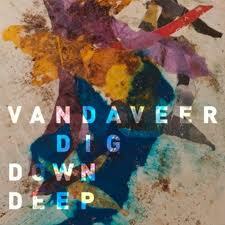 So I have decided to post my recent obsession, Vandaveer. I was introduced to Vandaveer through a fellow blogger based out of Cleveland, Ohio. If you have a chance, check out his blog at www.thezenderagenda.com. Thank you Roger! Formed in Washington, D.C as a solo project in 2006 by Mark Charles Heidinger, he has released 3 full length albums, with the most recent, Dig Down Deep, being released in April of this year. On each of the albums he has been assisted by a number of other musician friends, including Rose Guerin, the female vocalist. Vandaveer | The Nature of our Kind | A SxSw / IC Take Away Show from La Blogotheque on Vimeo. After listening to all three albums on repeat this last week, I can really hear the progression he has made, with each album bringing something new. With 2007's Grace & Speed, it was that solo project accomplished with the help of friends. On 2009's Divide and Conquer it became more of a duo and collaboration between Mark and Rose. Now with Dig Down Deep, they have taken it further, keeping the duo, but giving the music more texture and making it more unique. I love this album! Which is where you will find both of these songs, "Dig Down Deep" and "The Nature of our Kind". If you continue to watch the first video, they do a second song called, "A Mighty Leviathan of Old", which can be found on Divide and Conquer. Unfortunately, I wish I would have found out about them earlier, as they played at the Cedar Cultural Center last October. Thankfully they aren't afraid of touring. With over 450 shows to date, chances are they will be back soon....I hope.